Information in this page is being updated. 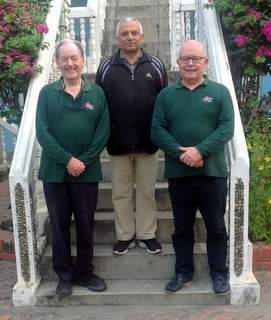 You will find details of BRINOS and BEHCS* efforts to ensure a continued sustainable future for current activities and to pursue the long-held dream of extending community Ear Care in Nepal. 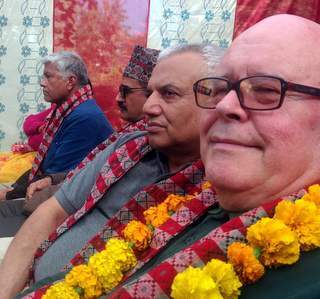 Work has started in the neighbouring regions of south-west Nepal Where you will find Nepalgunj, the BEHCS and the BECC, the Centre of BRINOS’ current activity. 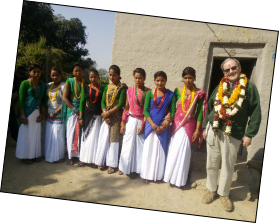 Meanwhile here are some pictures from the Travels of Dr Neil Weir and Mr Puran Tharu, illustrating the warm welcome wherever they went on their “exploratory mission” for better hearing. 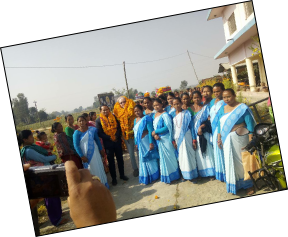 Visit to and Inauguration of the BRINOS Ear Care Centre in Gularya the principal town in the Bardya District on Monday 26 November. Mr Bimal Tandon (Chairman BEHCS), Dr Ramesh Shrestha (member of board of BEHCS), Mr Puran Tharu (CEO BECC), Neil Weir, Kashi Ray Gyawali and John Skipper were met By Mr Deepak (Senior CEA) and Miss Sita Chaudhary (CEA) at the Centre. It is an excellent rented building with plenty of space for consulting rooms and Audiology on the ground floor and two accommodation rooms on the first floor. There is a large garden. 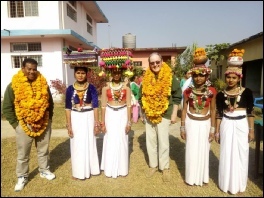 The inauguration was performed jointly by the District Officer and Dr Neil Weir. 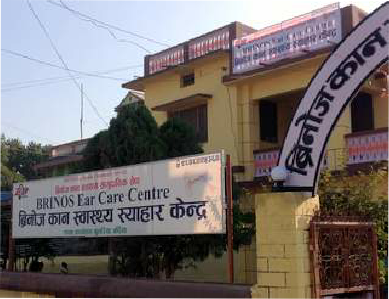 Celebrating Progress inNovember 2018 There is now a BRINOS Ear Care Centre the Region of Bardia.